Although I am passionate about making cute fun food, sometimes for whatever reason it does not happen. 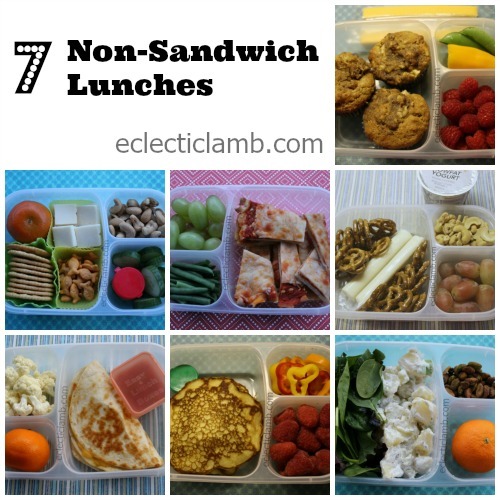 Today I am sharing 7 lunches that I think are attractive but are not cute – just delicious meatless food. 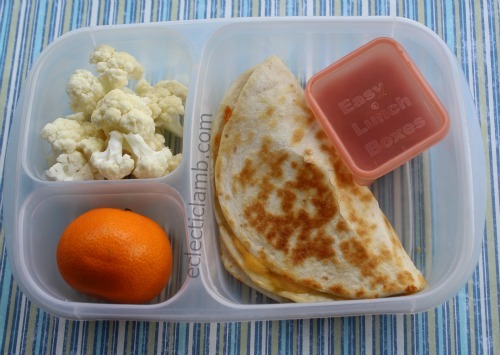 Cheese Quesadillas for lunch are very popular here for lunch. I made this one for my Mom. 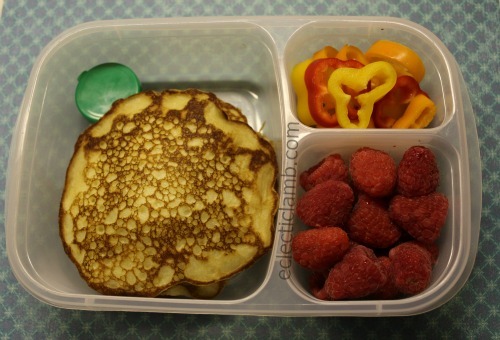 On a day that I offered to make my nephew lunch to take to school, he requested pancakes. I was not surprised since this nephew loves pancakes and waffles for lunch. 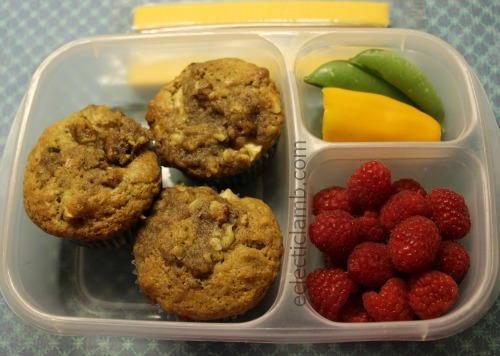 I don’t make them often, but my husband loves it when I make muffins for his lunch. 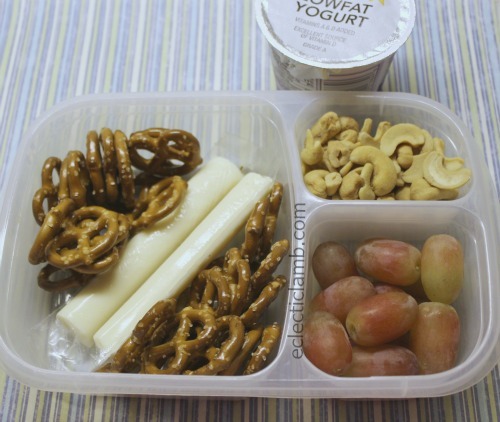 I made this bistro snack lunch for my husband. It is one of his favorite types of lunches. This was a very easy snack type meal. 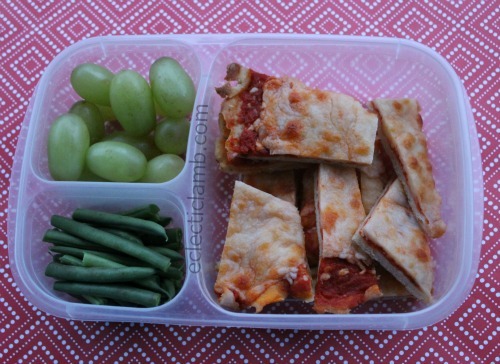 This lunch was easy to make with leftover pizza. 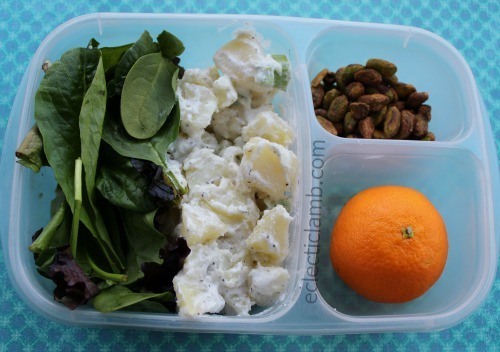 I love this healthier potato salad recipe. My Mom, Dad, and I each enjoyed it in our lunches. I did not use the green onion in the lunch you see here but my parents had it in theirs. Note: I had help from my parents with making and photographing this lunch as it was made shortly after my shoulder surgery. Left Side: Mixed lettuce, potato salad (instead of mayonnaise, this recipe uses a dressing that contains cottage cheese and milk). 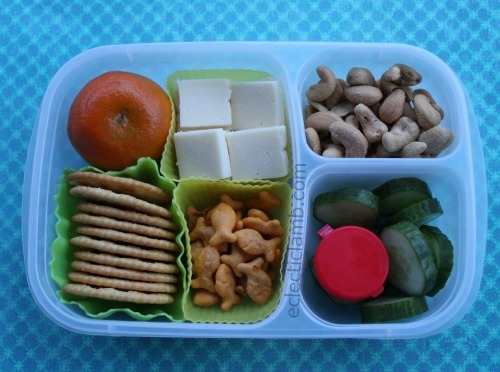 This entry was posted in Bento / Cute Food, Food and tagged EasyLunchboxes. Bookmark the permalink.